You know how they say that you should quit while you’re winning? Well, Peyton Manning definitely agrees and yesterday, he announced his retirement from professional football, exactly one month after winning Super Bowl 50 with his Denver Broncos. 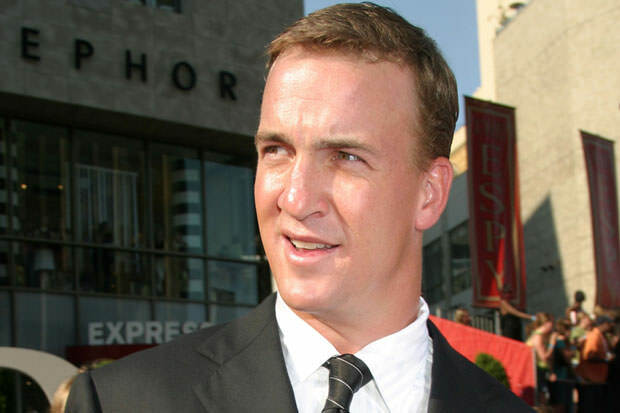 Peyton has been in the league for 18 years and many a pundit has come forward, saying that he might actually be the greatest that has ever played the game. And looking at his numbers, it is difficult to disagree. One of those numbers is 71,490. That is how many pass yards Peyton threw in those 18 years. Another number is 539. That is how many touchdown passes he threw. He also had 93 games with more than 3 TD passes and he’s been in the playoffs 15 times. He won the NFL MVP award 5 times in his career too. But he was more than just numbers. He was the man who always knew what the right play was, even this year in the Super Bowl 50 when he realized his limitations and when he let the game dictate the tempo and not vice versa. John Elway, who also spoke at his retirement ceremony, said that Payton revolutionized the way the game of football is played and he meant it. And despite the fact he has given innumerable interviews in the last 20-odd years, Peyton was shaken when he was giving his speech. It was obvious he realized what it meant and he could barely hold back the tears while praising others much more than himself. No one will ever hold it against him. Numerous NFL players expressed their admiration for one of the best quarterbacks of all time, some of them reminiscing about the times they played together or against each other and others simply stating how much they have admired Peyton throughout the years. For instance, one of the best safeties of all time, Ed Reed said how he loved playing against Peyton and how he always made sure his offense played perfect football. Love playing against Peyton, one of the best QBs ever, made teammates better! Peyton had his offense playing perfect football! Enjoy P.M. The Arizona Cardinals cornerback Patrick Peterson thanked Peyton for everything he had done for the game and for being humble all those years. The Cardinals official Twitter account made a great joke with their tweet. Peyton Manning. Legendary quarterback. Legendary tackler? Peyton’s teammate DeMarcus Ware pointed out that Peyton is also a man of great faith, in addition to being a fantastic teammate. In the end, it was Mark Ingram Jr. who summed it up the best.